Howdy! Welcome to the wildest ride in the wilderness! …That sounded way dirtier than I intended. Though I ACTUALLY intended it to be entirely too dorky (it’s from the attraction Big Thunder Mountain in Disney World/Disneyland) so maybe it’s better if I let people assume I have loose morals instead. Though calling it “having loose morals” probably gives me away. Crap. For those just stumbling around the vast internets, I’m Jaclyn. I’m a Tarheel (that’s UNC-Chapel Hill to any non-college basketball fans) transplant to Los Angeles, following my dreams to Hollywood and the exciting world of family entertainment (I’m a kid at heart). I’m an alum of Pi Beta Phi – my angels are the best in the world. I’m also a proud alum of the Disney College Program (including being a campus rep), which is something I’m sure everyone reading will get sick of hearing about because it means I talk WAY too much about the Walt Disney Company. I was in Walt Disney World for 7 months my sophomore year, running around the theme parks in my off time and driving giant safari trucks/saving baby elephants for my job. It was pretty awesome. And now I’m a west coaster — traveling to Disneyland way to often, and trying to make sense of this crazy place known as the City of Angels. These are the ridiculous adventures (and sometimes ridiculously boring day to day events) of a young girl in a big city. Your photos are GORGEOUS!!! 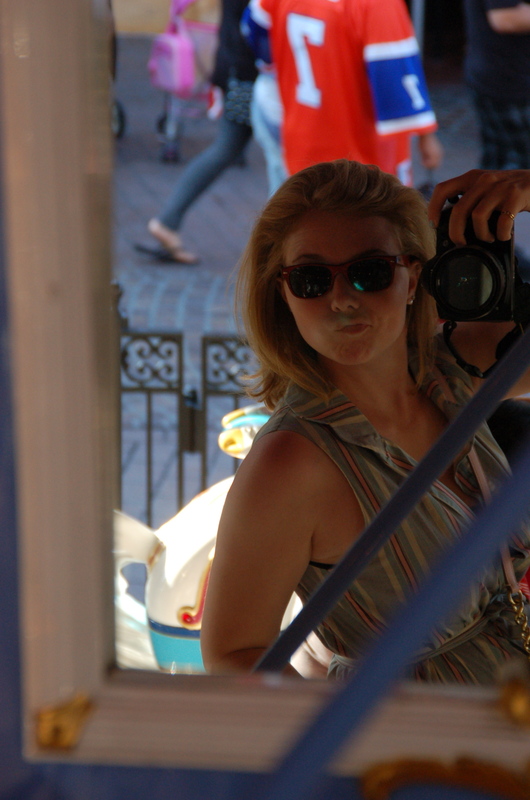 I was looking for a photo to refer to for a drawing I’m doing of Disneyland and found your Flickr stream. Nice job, little lady! Love your style!